Build Extreme MMA Endurance: Trainer Martin Rooney Discusses 'The Hurricane'! Over the last number of years, some incredibly powerful hurricanes hit a number of parts of the world, and they have left devastation in their path. This year was a record year not only for the number of storms, but also the severity of them. As devastating as these hurricanes were, the people involved have shown their resilience and the world has rallied around them. In many ways, these storms have been some people's opportunity to reflect on what is important and to rise above situations when they become most difficult. A hurricane is a mass of power that wreaks havoc where it lands and then moves on. Even though a storm may not last for long, the physical effects are often long-lasting and the mental effects are often permanent. In the world of mixed martial arts, a hurricane of sorts has entered gyms around the world thanks to MMA super trainer, Martin Rooney. Let's rap with Martin about his own version of destruction in the gym, appropriately called "The Hurricane." [ Q ] Martin, we've talked a bit about your Training For Warriors System. I know that in the 4-day system, 2 of the days are strictly lifting and 2 of the days are "Hurricane Days". Can you explain more about what a Hurricane Training day is? to carry them out. Hurricane days address this by mimicking the exact demands of a fight so that fighters can get their bodies used to the demands of the sport. [ Q ] How did you actually develop Hurricane days. Over the last few years, I have changed what I thought about "endurance" or energy system training. Years ago, I actually didn't put much stock in this style of training at all. I felt that just by performing your sport or your martial discipline, you would get the specific energy system work that you needed. Because of this belief, my training focused mostly on speed, strength and power work. When I started to work with a number of high-level fighters, and started training in Jiu Jitsu myself, I saw I had misled myself in this area. I now saw that specific endurance work was not only important, it was essential. 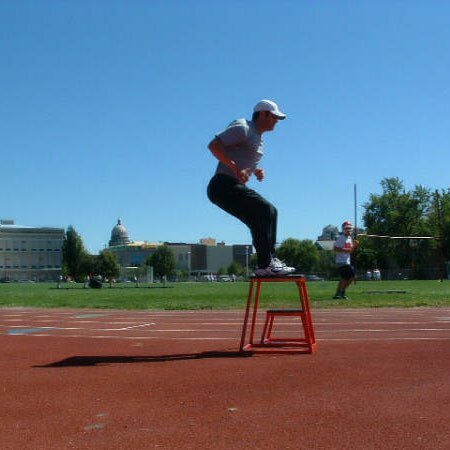 At first, we followed some of the archaic endurance training methods that persisted over the years from road work to stair climbing to hill runs. Granted, these were all tough at first, but my instincts (and the results I was seeing with the athletes) told me this was not enough. It was then that we started to "experiment" on ourselves with circuit style training. [ Q ] That sounds interesting because I am sure there are a multitude of people out there in gyms today who are bored hitting the same old cardio and looking to still lose fat. Tell us more about the circuit training. To me, when I use the terms "circuit style", I am describing a series of like or unlike exercises all combined one after the other with minimal or no rest for a certain period of time. Choosing the time for the circuits was easy. What we would do was take the maximal amount that a fight or match could last, and then either add time to it, or rest in between and do multiple sets of that time. This way, I would have the athletes be able to give maximal performances for the same period of time they would be expected to compete at. Choosing the exercises and the intensity of the performance was another matter altogether. [ Q ] These sessions sound tough as hell. Talk about the mentality a fighter needs to have to get out of bed and look forward to this training. When you start getting into this style of training, or start to surround yourself with people who enjoy this style of training, you see nothing but gluttons for punishment. Hard anaerobic work for 5-to-10 minute bursts is nothing sort of a form of self torture at first. As my athletes and others involved in this style of training will say though, once you get used to this type of work, it really becomes a sense of enlightenment.
. This type of training tells you who you are, what is important to you, and how skillful you are at pushing yourself to the limit. I say skillful because I have learned that it is not an innate ability as I originally thought; it is a skill. [ Q ] I didn't think of it like that, but in the end, that is what training is all about: learning about yourself. So how did you approach these sessions with a fighter or athlete that was new to the system? 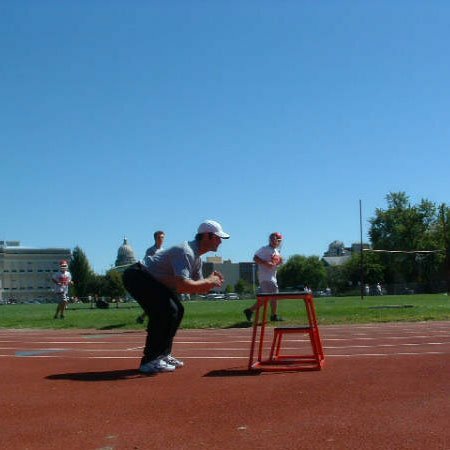 When I started the circuits with myself and the athletes, we always began on the conservative side. As our bodies, hearts and minds got tougher, however, we started to see how far we could actually push on the first attempt of something. This ability to attack and go through pain to learn about what we were doing to ourselves was another step in our enlightenment. [ Q ] So now that we understand that the sessions can be set up in terms of time to mimic the fight, how did you set up the actual circuits that the rounds were composed of? The circuits started with combinations of ladder drills, hurdle drills, box jumps and med ball work. We had stations set up, and performed the prescribed number of reps at each station until the set time elapsed. If we were doing multiple sets, we then attempted to beat the original volume of work in the same amount of time (this is always much tougher than it seems). After this, we started working on high speed treadmills and started interspersing exercises in between the sets. From here, we started incorporating sparring or bag work with the sprints. It was around that time that things started to get crazy. It was around this time that everyone started to go in search of the infamous "White Buffalo". [ Q ] OK, Martin you got me here. Now you have to tell me, what exactly is the "White Buffalo"? after one of the original experiments with high speed treadmill and weight work that was the original formation of my Hurricane training. After the session, we were all laying on the track in our own sweat and one athlete said that all he could see was a shining halo around white. He said that this was his goal to see and called it the white buffalo. [ Q ] Now I am not sure if there are many people out there that have seen that. You said this was a stage in the Hurricane training. Was this the final format with the treadmill and weights? No Larry. 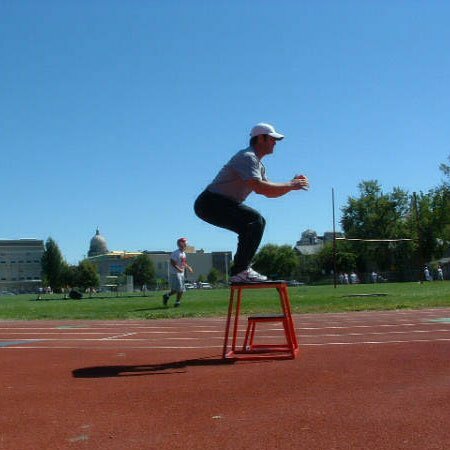 For over a year, we experimented with this level of training and kept manipulating the sprint time (from 6 to eventually 30 seconds) the exercises, reps and sets per circuit, and the time frame that an actual circuit could last. After this the most devastating circuits began to be created. With years of experimenting and training under our belts, each session became a test to see how far we could go. Enter the strongman circuits and the hurricane analogy. [ Q ] Now when you say strongman circuits, what are you talking about here? work, but the group was ready for a new challenge. That is how we created the Category 5 Hurricane. We started performing these sessions every Tuesday at the facility and it was the one day of the week I looked forward to and dreaded at the same time. At the end of the sessions, the group would always sit, recovery and talk about fighting, philosophy or whatever was on the national scene. After one particularly tough session (and they are always tough), World Champion Grappler Roger Gracie stated that "he felt like he had just been hit by a hurricane, and it was no Category 1 or 2, it was a Category 5 baby"! Right then, we all understood, and started to classify the level we took a session to by the 1-5 Hurricane Category scale. [ Q ] The system actually makes perfect sense. So can you give us a quick description of the 5 Categories and how they are broken down? After looking over my progression with these sessions over the years, the 5 categories make sense and they are easy to follow. Category 1 is the easiest and Category 5 will be the most demanding and potentially productive. Every Hurricane utilizes nine sets of cardiovascular training. I like treadmill or regular sprints for this. For Hurricanes 2-5, two different body weight and/or weighted exercises are performed after the first 3 sprints (Hurricane Round 1). Then two new exercises are selected to coincide with the next 3 sprints (Round 2) and again for the last 3 sets (Round 3). So a Hurricane Workout equals 9 total sprints and 18 sets of weight training to be completed in 20-30 minutes. [ Q ] Talk about intense! Those sound really tough. Are there any simple rules to remember about the Hurricane for people looking to complete it? Yes, there are. Here are 6 commandments I use with the fighters here about the Hurricane. Intensity is kept as high as possible. Rest periods are kept short. Eventually maintain the hurricane up to 30 minutes. Attempt to use as heavy weights as possible. Perform the Hurricane 2 times per week to avoid overtraining. Maintain excellent post-workout nutrition to replenish nutrients into depleted cells. [ Q ] Now speaking of depletion, this sounds like a great way to train not just for endurance, but also fat loss and muscle gain. What do you think of that? and metabolically more energy will be required to get your body back to a physiological resting state. So the greater the intensity of the Hurricane, there can be potentially higher acute hormonal increases and more calories expended over a longer period of time. These facts can result in muscular hypertrophy and body fat loss. Although you may understand that increases in circulating hormones can increase muscular size, fat loss may be less familiar to the readers out there. That magic of Hurricane Training is related to EPOC. [ Q ] So for everyone out there, what is EPOC? and added muscle building from weights make the hurricane a great tool in weight management, body fat reduction and strength! [ Q ] Man, this sounds like a much more powerful tool than just getting a fighter ready for a fight. Do you use this with other athletes? Absolutely. The intensity may be different, but I use this with many of my athletes. It can be a preseason tool to build endurance or a fat/weight loss tool for the athlete that has let him/herself go. I have to warn you Larry, this training can get addictive for many athletes out there tired of just banging weights and heading home. [ Q ] I completely understand and am sure some people out there are going to give this a shot. Do you have any examples of this training for people to see? [ Q ] Martin, as always, thanks so much for sharing your information and time. My pleasure. Helping everyone is what it is all about.